Glucocorticoids (cortisol) production/secretion is regulated by negative feedback. Mineralocorticoid (aldosterone) secretion regulation is by positive feedback. 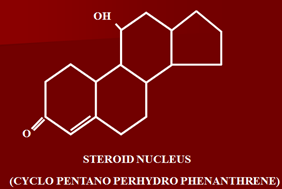 Steroids are chemically having large cyclopentanoperhydrophenanthrene nucleus. All steroids have the same mechanism of action, but differ in production of ultimate proteins. All steroids enter cell passively. Receptors are distributed throughout the body. Mineralocorticoid receptors are present mainly in excretory organs like kidneys, colon and sweat glands, etc. Receptors of glucocorticoids are present all over body. These are the heat shock proteins, the regulatory and stabilizing proteins. When steroids bind the receptors, they cause displacement of stabilizing proteins from receptor sites. mRNA enters cytoplasm and goes to ribosomes to bind them causing formation of specific proteins by the power of translation. Phospholipase is responsible for generation of arachidonic acid. Inhibition of formation of chemical mediators, including prostaglandins and leukotrines. This is the anti-inflammatory mechanism of glucocorticoids. Steroids in carbohydrate metabolism cause and increase in blood levels of glucose. All effects lead to increased glucose levels, producing diabetogenic effect. In high doses, redistribution of fat to other parts of the body. Salt and water retention and excretion of potassium. Some anti-vitamin activity so cause increased excretion of calcium in urine. Most important effect, causing reversal of all signs/symptoms of inflammation without removing cause. Thus have non-specific effect in inflammation. Generalized decrease in lymphoid tissues in body occurs along with lymphocytopenia. Cause increase in RBCs, hemoglobulin, neutrophils and platelets. Usually occurs when steroids are given in high doses for long periods and then abruptly stopped, due to negative feedback (availability of hormones), atrophy of adrenal gland occurs. Treatment is to give hydrocortisone or cortisol 100-200 mg 6 hourly, until condition is controlled. When giving steroids for long periods, dose is gradually tapered off. Due to tumor of adrenal cortex, infections (tuberculosis of adrenal gland) or removal, chronic insufficiency occurs. Treatment is to give replacement therapy including glucocorticoids along with mineralocorticoids. 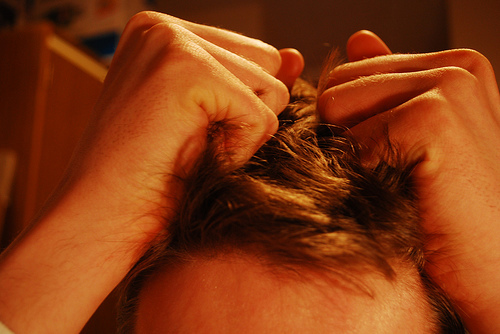 Cortisol in a dose of 20-30 mg, synthetic ones are given in equivalent doses. 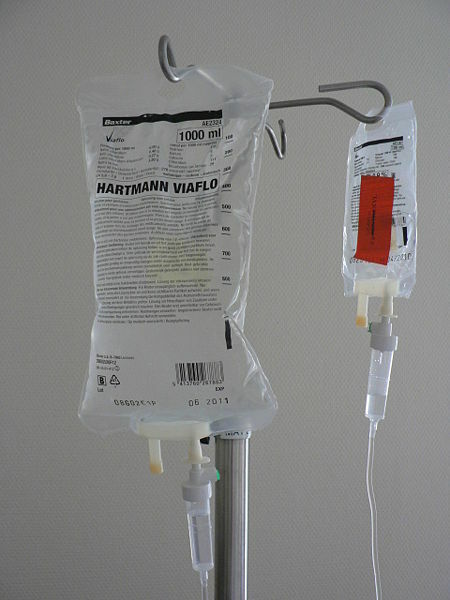 Once patient is stabilized, two-thirds of the dose is given in the morning, while one-third in evening. Androgens are formed one step earlier, especially in pregnant females virulization of female fetus occurs. Autoimmune disorders, very effective and live saving. Life threatening condition, death may occur, given in combination with anti-microbial drugs. Medical emergency, may occur after head injury. Dexamethasone is given for cerebral edema. Affect especially membranous type of glomerulonephritis. Advantage of combination is that acetazolamide is that these have rapid action, while acetazolamide has delayed effects. Cortisol causes maturation of lungs and in premature infants, there is decreased release of cortisol so given to mother before delivery esp. Beclomethasone 48 hourly before delivery I/M. In most skin conditions steroids are used, esp. non-infective skin conditions. To access primary and secondary caused of Cushing disease (ACTH excess) give potent steroid, dexamethasone, if after administration decreased levels occur, patient has Cushing disease due to primary dysfunction of adrenal cortex. Prolonged administration caused negative feedback leading to atrophy of adrenal cortex. Steroids are not withdrawn abruptly, otherwise Addisonians crisis occurs. Dose is gradually tapered, to allow recovery time. Once axis is depressed, it may take months or even years to recover, but when given for short period in low doses (25 mg prednisolone daily for 5-10 days) there is no need to taper off dose. a. May cause peptic ulcer, due to secretion of HCl and pepsin when taken orally for prolonged periods. Due to loss of protein matrix may cause osteoporosis, leading to spontaneous fractures. So patients taking steroids are advised to take calcium and vitamin D supplements to avoid. May cause increase in intracranial pressure on prolonged administration –although rare. Due to retention of sodium and excretion of potassium. Danger is when patient is taking digoxin or diuretics. Usually in patients of bronchial asthma, taking steroids by inhalation, due to deposition of steroids in larynx, pharynx, leading to candidiasis. In larynx ultimately laxity of vocal cords and hoarseness of voice. On prolonged administration, especially after topical use. Drugs causing increased sodium and water retention along with increased elimination of potassium, acting on the late distal part and collecting tubules. Natural are not used in therapeutics. Fludrocortisone in only used nowadays. Treatment of hypotension esp. when due to excessive loss of sodium. 50-300 mcg daily. In children dose of 5 mcg/kg body weight daily by oral route of administration.